Why is mosquito-borne disease risk greater in autumn? Mosquito-borne disease risk in Australia is greatest during summer right? Wrong. Imagine you’re heading off to football training for the first time this season. Training kicks off in mid-March ahead of an April start to the season. Training is once a week, typically at dusk. Playing fields are located close to wetlands. There mozzies aren’t as bad as they were back in January so why put on insect repellent? The reality is you are more likely to catch Ross River virus during autumn. Recent health warnings confirm it. Why? The most common mosquito-borne disease in Australia is caused by Ross River virus. Infection can cause symptoms that can be highly variable in their severity but may include rash, fever, fatigue as well as arthritic pain. Disease caused by infection with this mosquito-borne virus is reported in over 4,000 people each year from across the country. Can we predict outbreaks of Ross River virus? Predicting outbreaks of Ross River virus can be difficult. There are differing drivers of outbreaks between both regions and season. While outbreaks typically occur when mosquito populations are high, abundant mosquito populations don’t guarantee an outbreak of disease. Similarly, outbreaks can still occur when mosquito populations are low. The reasons for this are complex. Perhaps most importantly, mosquitoes don’t emerge from the wetlands infected with Ross River virus, they must bite an infected animal first. The animals most likely to pass the virus onto mosquitoes are kangaroos and wallabies (waterbirds are most likely to be involved in the transmission cycles of other Australian mosquito-borne viruses such as Murray Valley encephalitis virus). This means that, despite the relative abundance of mosquitoes, without the presence of kangaroos and wallabies, the risks of Ross River virus transmission are low. This is why Ross River virus is generally considered a rural disease. However, there have been small outbreaks in metropolitan Sydney where kangaroos and wallabies are present. Outbreaks will almost always required the presence of macropods. What has been happening in 2014? There has been plenty of activity of Ross River virus in coastal NSW this year, particularly around the Georges River region of Sydney. This is one of my key study sites and provides a good opportunity to study Ross River virus in a region where mosquitoes, wildlife, wetlands and people are all present. The detection of Ross River virus, along with Barmah Forest virus and Stratford virus, in mosquitoes in the suburbs of Lugarno, Alfords Point, Illawong and Bankstown in early 2014 has prompted warnings from local health authorities. Similarly, Ross River virus has been isolated from mosquitoes in the Newcastle/Port Stephens region, also prompting the release of health warnings. So too around Port Macquarie. There were plenty of mosquitoes about in summer but why are the risks comparatively much higher in autumn? 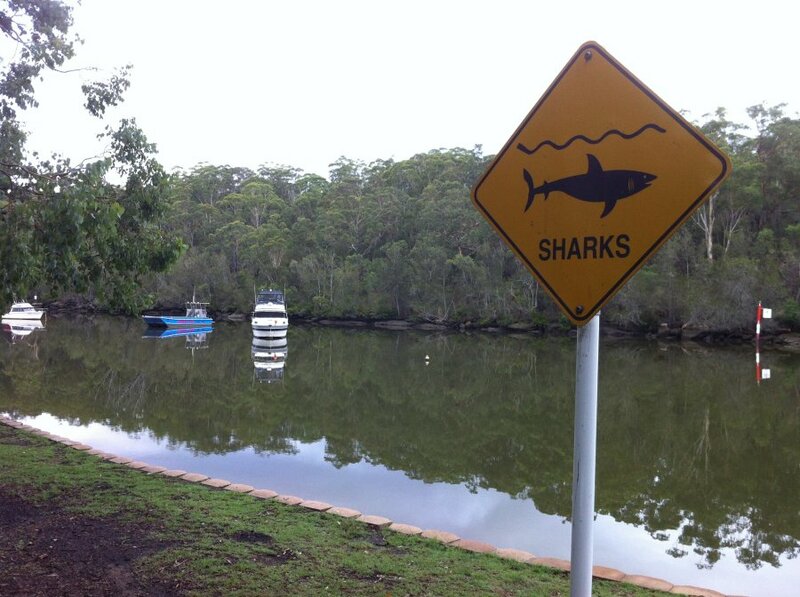 Sharks may patrol the waters of Georges River but mosquitoes rule the wetlands. When it comes to mosquito-borne disease risk, it is the swamp wallabies that really raise the risks. Why are there more Ross River virus cases in autumn? Remember when I posted the question back in January 2014… “could the Autumn of 2014 see a surge in cases of disease?” When national notification data for Ross River virus infections are reviewed, there is a distinct peak in cases around March. 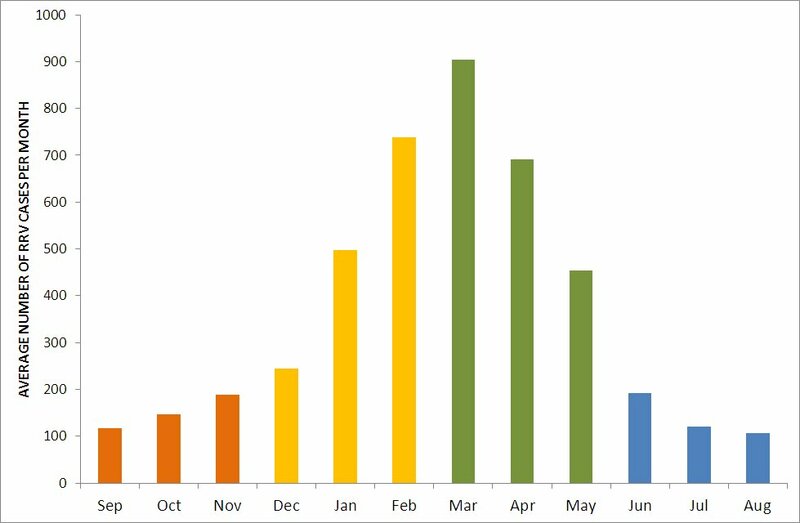 With regard to overall seasonal averages, there are more cases in the three months of autumn than those of summer. In part, the official statistics may reflect a delay between initial infection of an individual and the collection of official statistics but there are also other factors at play. What may be some of the driving factors in the autumn peak of disease notifications? It takes time for the pathogens to circulate amongst animals and mosquitoes. We don’t exactly know what kick starts outbreaks of Ross River virus. Is the virus present at very low levels all the time, only to explode when conditions are right or is it introduced by an animal or travelling human? Either way, it may take time for the pathogens to spread amongst local wildlife and, subsequently, sufficient numbers of mosquitoes becoming infected to drive increases in human disease notifications. Diversity of mosquito populations. While the abundance of estuarine mosquitoes (such as Aedes vigilax), and those associated with ephemeral habitats, will tend to go up and down over the summer and autumn, freshwater mosquitoes like Culex annulirostris will tend to build in their abundance from mid-summer through until autumn. 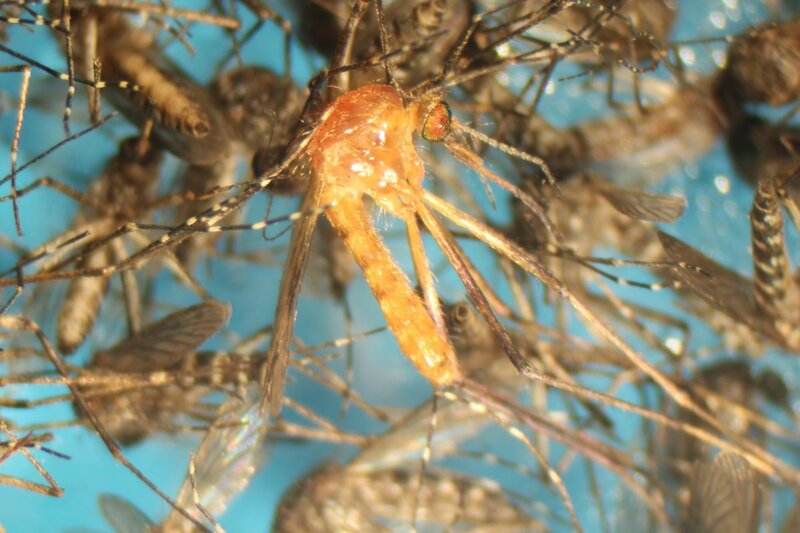 These mosquitoes have been identified as key to outbreaks of Ross River virus. Perhaps it is the overall diversity, rather than abundance of a particular mosquito species that is important? Mosquitoes are living longer. As mentioned earlier, mosquitoes must bite an infected animal to become infective themselves. The longer a mosquito lives, the more likely it is to acquire an infected bloodmeal from a wallaby or kangaroo and then more likely to pass it on to one or more people. Like all insects, the mortality of mosquitoes is influenced by climate. Mosquitoes live longer during the cooler and, generally, more humid conditions in autumn than the hot and dry summer. We’re getting complacent. It may have been a long hot summer full of mosquitoes. Back in January you may have been chased out of the local wetlands due to the number of mosquitoes. 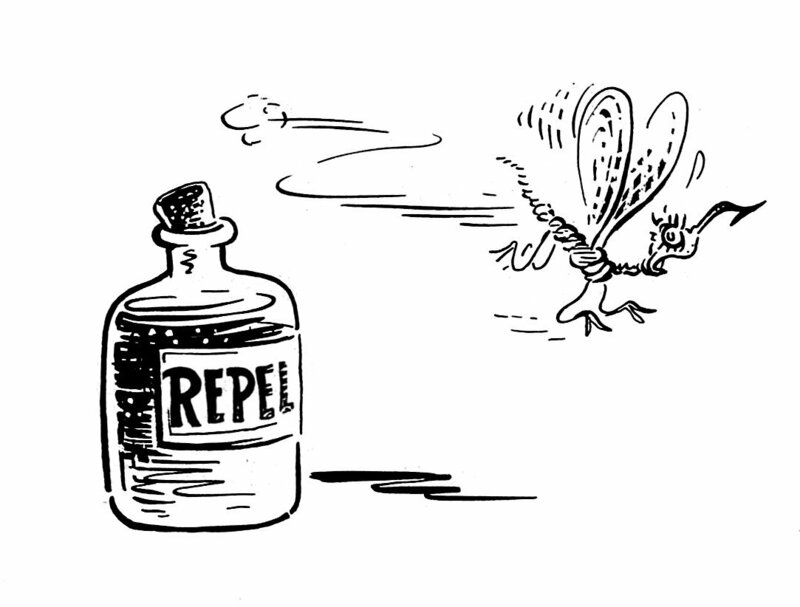 As the intensity of nuisance-biting declines, most people are probably increasingly likely to skip the application of insect repellents or be vigilant about mosquito bites. Similarly, we’re probably less likely to apply a sunscreen in cooler months. I’ve worked with local health authorities to coordinate public health messages ahead of the Easter long weekend. I’ve often thought that this is a time when many head off on a camping weekend and may not be thinking about mozzies. Fortunately, in 2014, the Easter holiday falls towards the end of April, greatly reducing the risks when compared to early April holidays. More people are being tested in autumn. There is probably not an even spread of awareness of mosquito-borne disease amongst health professionals. Recently, my GP told me I’m the only person he’s ever requested a Barmah Forest virus test for (just routine testing for me). I live in a very low risk region but I’m only a 20min drive from a region currently experiencing Ross River virus and Barmah Forest virus activity amongst mosquito populations. When there are outbreaks, or when there is media coverage of Ross River virus activity, GPs and the community will be more aware of potential disease and perhaps may be more willing to request tests. This awareness is likely to build over the summer and into autumn so that, perhaps, more people are being tested in autumn than summer. How does this influence public health messages? While working for the Living with Mosquitoes group in the Hunter region, we discussed many different ways to increase awareness of mosquito-borne disease within the region. As well as developing a range of different approaches to raising awareness amongst the community, it was suggested that perhaps a local sports person could become a spokesperson for a television campaign. What sports person would you choose? A cricketer obviously right? Perhaps it should be a footballer given their considerably higher profile at this time of the year? For me, I’m always trying to think of groups in the community that may be at higher risks or activities that may hold greater potential for exposure to mosquito bites. Bushwalking, camping and fishing are obvious cases in point. This was one of the reasons why we developed “mosquito risk tide charts” for a couple of years back, highlighting periods of the summer when mosquitoes were most likely to be in high abundance (as well as providing some general advice on mosquito repellents and other personal protection strategies). The autumn peak in Ross River virus risk is always a consideration ahead of Easter holidays. This year, we’re fortunate in that the long weekend falls in mid-late April so the risks may be less had Easter fallen at the end of March or early April. Nonetheless, it is always important to spread the word as Australian’s head off for a weekend of camping. Make sure you’ve packed the repellent! Lastly, I’ve been thinking back to the start of the football season. I’ve seen plenty of people out training hard throughout March in the lead up to the stat of the season. You may be less likely to be bitten by mozzies while actually running about but how about down down and the coaches, support staff and parents standing about. I must stress that there is no evidence from the human notification data that football training is resulting in increased numbers of cases but I wonder if this is a group of people to whom public health messages could be directed. They are typically a well connected group of people with good lines of communications, perhaps a reminder at the start of the football season about mosquito repellent use would be handy? UPDATE [11 April 2014] NSW and Victorian Health authorities have issued new health warnings to avoid mosquito bites during the school holidays and Easter long weekend following the detection of the potentially fatal Murray Valley encephalitis virus in sentinel chicken flocks in the Riverina region. Other mosquito-borne viruses including Ross River and Barmah Forest viruses continue to be detected in mosquito populations collected along the coast. Current understandings of the more serious Murray Valley encephalitis virus and Kunjin virus are not thought to be active in coastal regions of NSW and SE QLD. Why not join the conversation on Twitter by following me at @mozziebites? The illustration at the top of this piece comes from the 1943 booklet “This is Ann – She’s dying to meet you” by the US War Department. Recognise the work of a very famous illustrator? This entry was posted in Scientific Writing and tagged Aedes vigilax, australia, barmah forest virus, community education, constructed wetlands, entomology, environment, insects, mosquito, mosquito control, mosquito repellent, Mosquitoes, Ross River Fever, ross river virus, saltmarsh, water sensitive urban design, wetlands by cameronwebb. Bookmark the permalink.